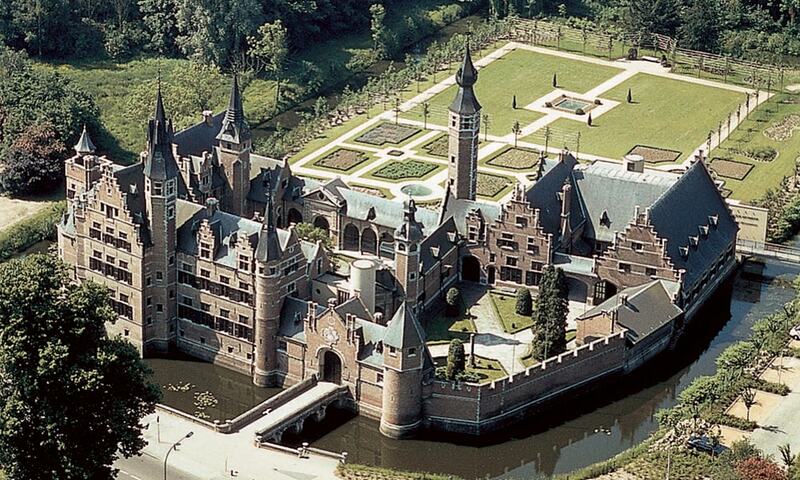 The Sterckshof castle houses the Sterckshof silver museum of the Province of Antwerp. Built on the site of a much older castle, or great house, the present building is a reconstruction erected in the 1920s. Unlike other castles in Antwerp, the Sterckshof was not destroyed during the wars of the 16th and 17th centuries, but it was neglected during a dispute between heirs. In 1921 the Province of Antwerp bought the Ter Rivieren estate, with the Sterckshof castle, to make it into the current Rivierenhof park. The reconstructed building with its red brick turrets and courtyards is set in formal gardens surrounded by a moat, conveying an impression of the houses of the wealthy in the 16th century.